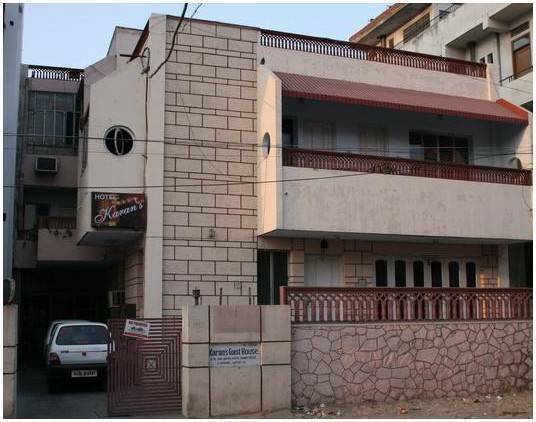 Karans Guesthouse is a clean and comfortable guesthouse, centrally located in a Posh Colony of Jaipur just 2 km from the main railway station, bus stand, Walled City, 11km from the Jaipur Airport 1km from Major Conference Venue, Government Offices and The Statue Circle. Near Vanasthali Vidhyapeeth. The guesthouse has seven Spacious double bedrooms and one single bedroom, each room has a western style private bathroom. All rooms have a satellite colour TV, small fridge, cupboard, desk, chair, lamp, sofa, air-conditioning and a heater. Two rooms have private balconies. There is a guest dining/sitting room with colour satellite TV and a well equiped kitchen for breakfast. However for those guests that wish to eat out there are many shops and popular restaurants nearby offering good quality food at reasonable prices. There is a telephone and fax machine available for all guests. You are invited to enjoy the homely atmosphere at Karan's Guesthouse. Attached Bathrooms with western Style Fittings Showers . hot and Cold Water. Two km from the Old City C scheme is a Posh Colony in the centre of jaipur has most of the government offices , Banks, Statue Circle, Birla Planetarium, Conference Venue And Schools. To reach Karans Guesthouse take a Cycle Rick shaw and ask to be taken to Chomu House Colony in C scheme . Guesthouse is in a pink Building on The Shiv Heera path . It is 2km from Both Bus Stand And Railway Station.